Reception at the Velasco Astete airport in Cusco, assistance and transfer to the selected hotel, where they will be waiting for you with an aromatic coca tea, that helps to prevent altitude sickness. Once installed in the hotel, you will have the rest of the morning free. 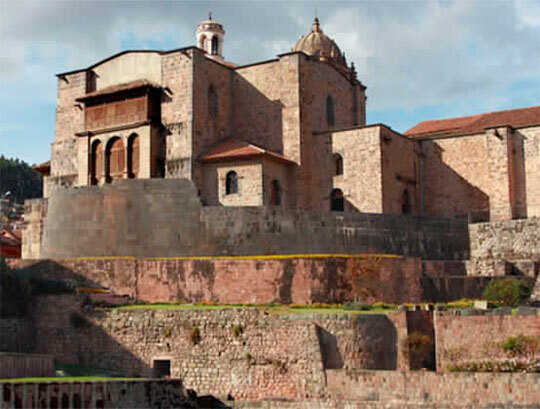 Between 1:45 and 2:00 pm will begin the guided tour through the city, where you will have the opportunity to visit 6 sites, the first "Qoricancha" (golded place), currently Santo Domingo Convent, a place that keeps Inside one of the most important religious centers of the Inca period, the Cathedral, a place that has religious paintings of the Cusqueña School being in number about 300, among other expressions of art. 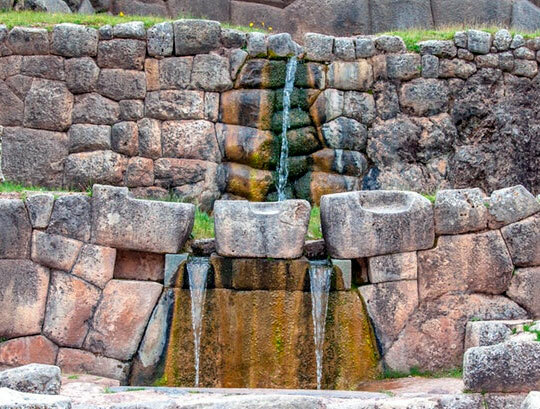 Then visit to the surrounding areas of Cusco City, to visit 4 places that have remained intact over the years and have been used by the Incas for different activities; Sacsahuaman (puma’s head) majestic place, with impressive works in stone, been the heaviest 120 tons, carried by workers from remote Inca quarries, a place where the famous Inti Raymi or Festival of the Sun is celebrated every year, Qenqo (laberinth), and finally Pucapucara Tambomachay, place dedicated to the water. Breakfast at the hotel. Between 8:45 and 9:00 am. 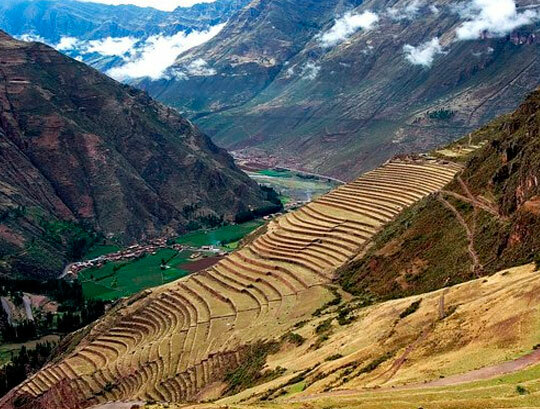 We will pick you up from your hotel to begin our journey to the Sacred Valley of the Incas. Visit to the colorful Indian Pisac market and then continue our journey towards the fortress of Ollantaytambo, an Inca city that was religious, political and agricultural. 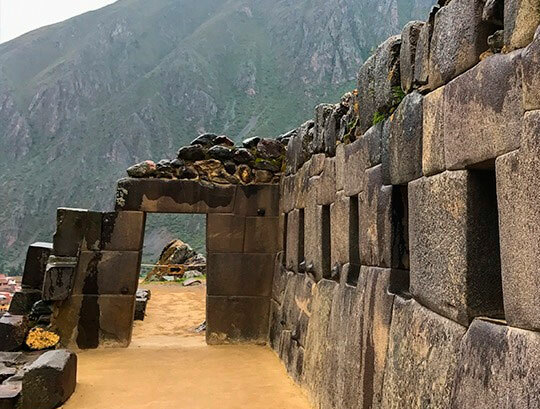 Then return to Cusco through Chinchero, a farming Town dedicated to grow potatoes and on the way you will enjoy a wonderful view of the Andes range. Breakfast at the hotel, pick up and transfer to Ollantaytambo or Poroy train station to board the train that will take us to Machupicchu Town ( Aguas Calientes). Once you arrive you have to walk about 100 meters towards the bus station to board them, they will take you to the top of the mountain on a ride that lasts 25 minutes, and then the guided tour (it lasts about 2 hours) will star in the Historic Sanctuary. Once the tour is finish will have time for lunch and explore the area on your own. Return to the City of Cusco by train. Breakfast at the hotel, assistance and transfer to the airport. - Transfers in / out Airport / Hotel / Airport. - Specified food in the itinerary. - Entrance ticket that includes the entire visit mentioned in the package. 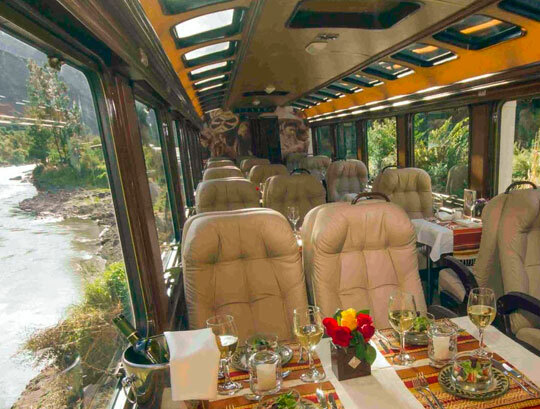 - Train Ticket to Machupicchu roundtrip. - Bus ticket, round trip. 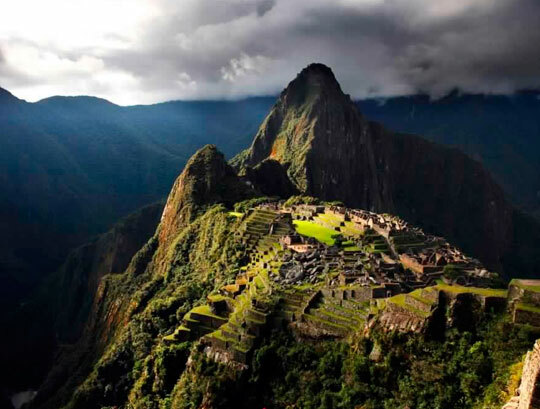 (Town of Machu Picchu). - Entrance ticket to Machupicchu. (I.N.C.). - Lunch in Machu Picchu. - Payment for excess baggage. (*) Rates of INC, Consetur, BTG, Cathedral, Qoricancha are subject to change.